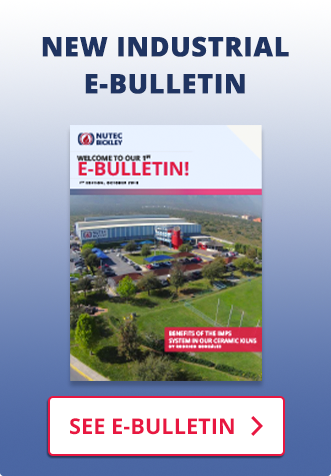 Nutec Bickley got awarded with a new contract to supply a High Temperature Elevator Kiln for a Brazilian Company manufacturing alumina components. NUTEC BICKLEY was awarded an order for the supply of a Mesh Belt Furnace and Cooling Conveyor for tempering of forged automotive parts from a Global Company to be installed in USA. Nutec Bickley has been selected to supply one tunnel kiln for ceramics and two shuttle kilns for this very important project for sanitayware production process. 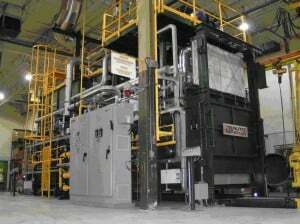 NUTEC BICKLEY sold a project to supply one annealing bell type furnace for construction steel wire to a recognized toolmaker company. 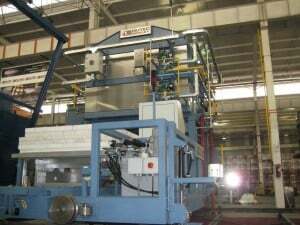 NUTEC BICKLEY sold to an important company specialized in manufacturing cylinder heads and engine blocks, a total of two static gas fired aluminum holding furnaces for 4.5 tons capacity each. 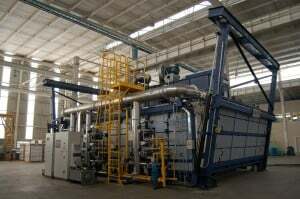 NUTEC BICKLEY has been awarded a contract for a total of 3 new heat treatment furnace from Weber Metals Inc. based in Paramount, California, part of the Otto Fuchs Aerospace group. 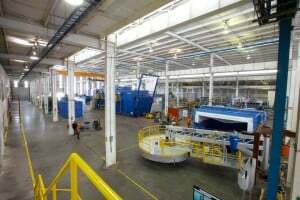 Nutec Bickley just sold Two (2) gas fired 4.5 tons capacity static holding furnaces to a major North American aluminum automotive parts manufacturer. 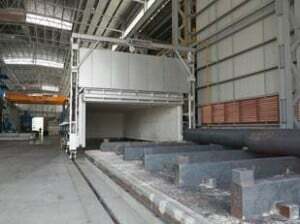 Our Aluminum furnace holding/melting rate from holding 1.0Tons/Hr and up to melting 500 Kg/Hr melting. A major US electronic component manufacturer awarded Nutec Bickley with a new contract to supply a High Temperature Elevator Kiln. 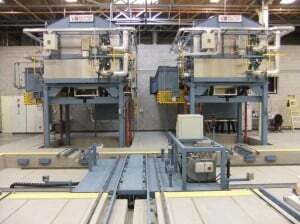 A major US corporation awarded Nutec Bickley with a new contract to supply a new line consisting of two pusher tray furnaces for the process of investment casting.